If you need to locate your RedMax model number and serial number, we can help! Find your RedMax equipment below to see model and serial number locations. 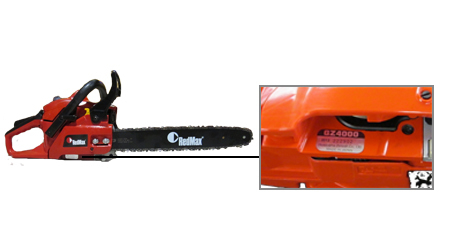 The model and serial number sticker on a RedMax chainsaw is located on the bottom right side of the engine housing. Look up your RedMax Chainsaw Parts. 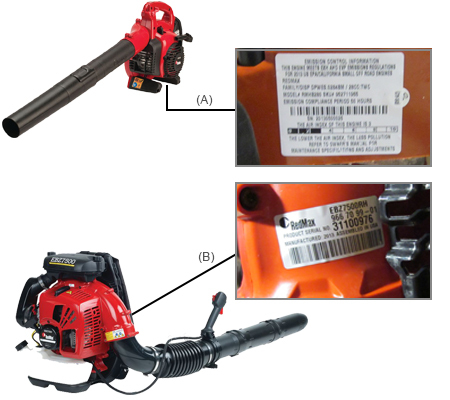 The model and serial number sticker on a RedMax handheld leaf blower is located on the base of the unit. 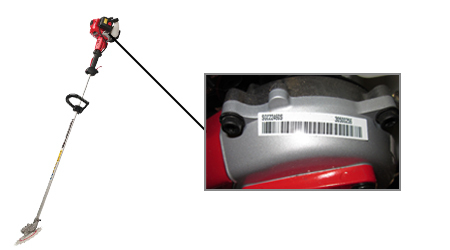 The model and serial number sticker on a RedMax backpack leaf blower is located on the left side of the blower housing, above the blower tube assembly. Look up your RedMax Leaf Blower Parts. The model and serial number sticker on a RedMax reciprocator is located on the engine housing at the top of the unit. Look up your RedMax Reciprocator parts.